SUNNYVALE, Calif. (AP) — Yahoo is hiring longtime Google executive Marissa Mayer to be its next CEO, the fifth in five years as the company struggles to rebound from financial malaise and internal turmoil. Mayer, who starts at Yahoo Inc. on Tuesday, was one of Google's earliest employees and was most recently responsible for its mapping, local and location services. Mayer, 37, began her career at Google in 1999 after getting her master's degree in computer science from Stanford, the school Google's co-founders attended. Ross Levinsohn has been running the company on an interim basis and was thought to be the leading candidate after Hulu CEO Jason Kilar dropped out from consideration. Levinsohn filled in after Scott Thompson lost his job two months ago in a flap over misinformation on his official biography. Fred Amoroso, Yahoo's chairman, says the board was drawn to Mayer's "unparalleled track record in technology, design, and product execution." Yahoo's website remains among the most popular destinations on the Internet with 700 million monthly visitors, but the company has struggled to turn those visits into ad revenue growth. Yahoo's decline has been exacerbated by the success of Internet search leader Google Inc. and social networking leader Facebook Inc.
Levinsohn, 48, who once ran Internet services at News Corp., made a positive impression by closing a long-delayed deal to sell part of its stake in Alibaba Group, one of China's most successful Internet companies. He also negotiated a truce with Facebook, averting a legal fight over patent rights that threatened to poison Yahoo's partnerships with the social network. 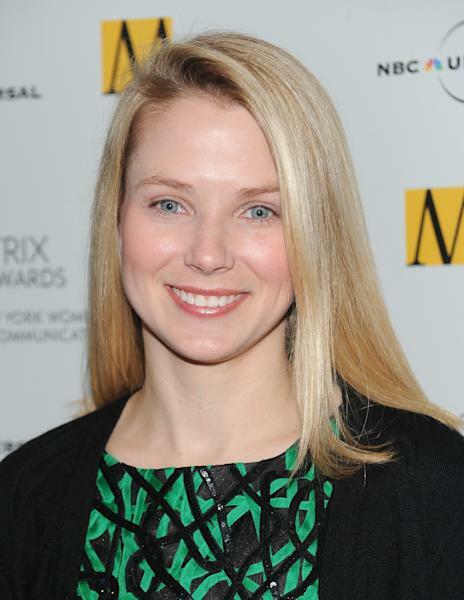 Now, the job of devising a new vision for Yahoo will fall to Mayer. She will need to quickly communicate how her strategy differs from the plans of four previous CEOs who have unsuccessfully tried to turn the company around during the past five years. Mayer has a list of talents and accomplishments that could serve Yahoo well. 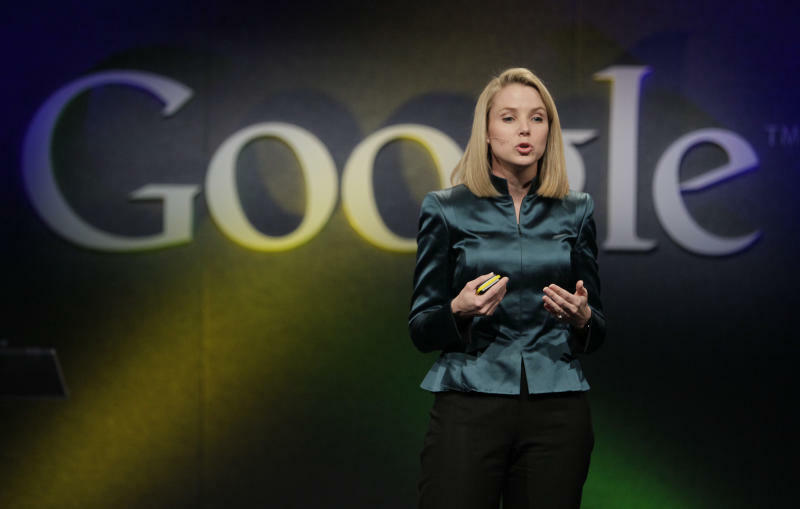 She gained a reputation at Google as an effective leader with a long string of successes. Known for a folksy demeanor that harks back to her roots in Wausau, Wis., she is a math whiz with a photographic memory. In her time at Google, she led teams that produced many of the company's most recognizable products, including the development of its flagship search product and the iconic Google homepage. Mayer managed the launch of more than 100 features and products including Google News, and Gmail. She is credited with overseeing the creation of much of the clean, uncluttered "look and feel" of many Google products. "I'm incredibly excited to start my new role at Yahoo tomorrow," Mayer wrote to friends and followers on Twitter Monday afternoon. Yahoo needs that kind of enthusiasm. The company will release quarterly financial results on Tuesday. Net income for the three months ending in June will be clipped by an anticipated charge of up to $145 million to cover severance costs for laying off 2,000 employees, or about 14 percent of its workforce. The jobs cuts, announced while Thompson was still CEO, are supposed to trim Yahoo's annual expenses by about $375 million. Some analysts believe Yahoo needs to prune even more from its operations as it tries to increase its profits and elevate a stock that has been sagging since the company balked at a takeover offer from Microsoft Corp. for $33 per share more than four years ago. Yahoo's stock closed at $15.65 on Monday. Levinsohn hinted that Yahoo might cut even deeper when he met with shareholders at the company's annual meeting last week. Thompson had planned to close, sell or combine dozens of Yahoo's little-used services before he was dumped.